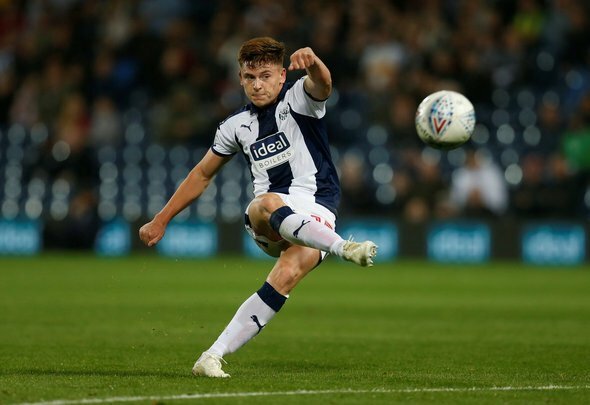 Leeds United would be runaway Championship leaders if they had beaten West Brom to the loan signing of Harvey Barnes. Marcelo Bielsa would never say that publicly but he strongly hinted that he would privately agree with that sentiment as he drooled over the Baggies attack at his media conference on Thursday. The Leeds manager explained why he is envious of the resources available to West Brom manager Darren Moore, referring to Barnes, Matt Phillips, Jay Rodriguez and Dwight Gayle in numerical form as he explained the advantage they have over second-tier rivals. “I think the best offensive players of the Championship play in West Bromwich,” said Marcelo Bielsa of this weekend’s opponents, as quoted by the Yorkshire Evening Post. “They might not have the best player in each position. But if we take, as a whole, No. 15,10,19 and 16, they are the best offensive players. Certainly, Barnes, the attacking midfielder on loan from Leicester City, has been a sensation for the Baggies, who are benefitting from one of the deals of the summer that United thought three months ago they had in the bag. Barnes has made a huge impact for West Brom, starting all 16 of their league matches and banging in five goals as well as supplying three assists. He has been less effective of late, but his promise is immense and the technical ability, composure and eye for the spectacular make him an England star of the future. Leeds have some gifted attacking midfielders of their own, with Pablo Hernandez playing some of the best football of his glittering career on the right flank. But Samuel Saiz and Ezgjan Alioski have been less consistently effective and, if Bielsa was able to call upon someone like Barnes, there is a sense that Leeds, ahead of second-placed Norwich City only on goal difference, would be well clear at the top.